A number of companies are pursuing ways to enlist the immune system for treating cancer. Now TCR² Therapeutics is joining the ranks with technology that it says could improve on how the body’s cancer-fighting cells respond to the disease. Cambridge, MA-based TCR² has $44.5 million in new capital to further develop its technology. MPM Capital and F2 Ventures led the Series A round, which marks the company’s emergence from stealth mode. TCR² was founded in 2015 by cancer immunologist Patrick Baeuerle, managing director of MPM and a TCR² board member. Baeuerle was previously the chief scientific officer of Micromet, where he led the development of blinatumomab (Blincyto), an antibody-based leukemia drug. Amgen (NASDAQ: AMGN) acquired Micromet in 2012 in a deal valued at more than $1 billion. One main approach in immunotherapy is to engineer some of a patient’s own white blood cells, called T cells, so that they can detect tumors and then kill them. TCR² takes its name from T cell receptors, molecules on the surfaces of the immune cells that recognize a specific molecular target, or antigen, and focus the immune attack only on cells with that target. Many companies developing immune therapies engineer T cells with artificial antigen receptors, bypassing the cells natural T cell receptors. In contrast, TCR² is developing what it calls a “T cell receptor fusion construct,” or TRuC, that binds to the antigen on one end and the T cell receptor on the other. By taking full advantage of the immune cells’ existing T cell receptors, the company believes it can improve on the durability, safety, and activity of T cell therapy against solid tumors. With the new capital, TCR² plans to build a portfolio of different T cell therapies as it progresses toward clinical trials. The bustling immunotherapy field includes several companies pursuing chimeric-antigen receptor (CAR-T) cell therapies, in which the patient’s T cells are modified outside the body to make them better cancer fighters, then infused back into the patient. No CAR-T has yet been approved, but companies are making headway in clinical trials. In September, Santa Monica, CA-based Kite Pharma (NASDAQ: KITE) released a partial look into a mid-stage clinical trial studying its CAR-T cell therapy in non-Hodgkin’s lymphoma showing that 39 percent of patients in the trial saw their cancer disappear. Meanwhile, Cambridge, MA-based Bluebird Bio (NASDAQ: BLUE), is working in partnership with Summit, NJ-based Celgene (NASDAQ: CELG) to engineer the T cells of multiple myeloma patients to target a protein found on the cells of that form of cancer. Bluebird recently released data from a Phase 1 study of its experimental treatment, bb2121. But there have also been setbacks. Last month, Seattle-based Juno Therapeutics (NASDAQ: JUNO) halted a Phase 2 clinical trial following the death of two patients. The trial was studying Juno’s experimental T cell therapy for acute lymphoblastic leukemia. It’s the second time in a year that the company has halted the trial; in July, Juno temporarily stopped the study after two patients died. TCR² has not yet disclosed its lead cancer target but the company says it aims to use its approach to treat both blood-borne cancers and solid tumors. The company says it already has research collaborations with Massachusetts General Hospital in Boston; University Hospital of Ludwig-Maximilians-University in Munich, Germany; and University of Freiburg in Freiburg, Germany. TCR² is led by CEO Garry Menzel, who joined the company in October. His previous roles include executive positions at Axcella Health, DaVita Healthcare, Regulus Therapeutics. He also has experience in the biotechnology practices of Goldman Sachs and Credit Suisse. 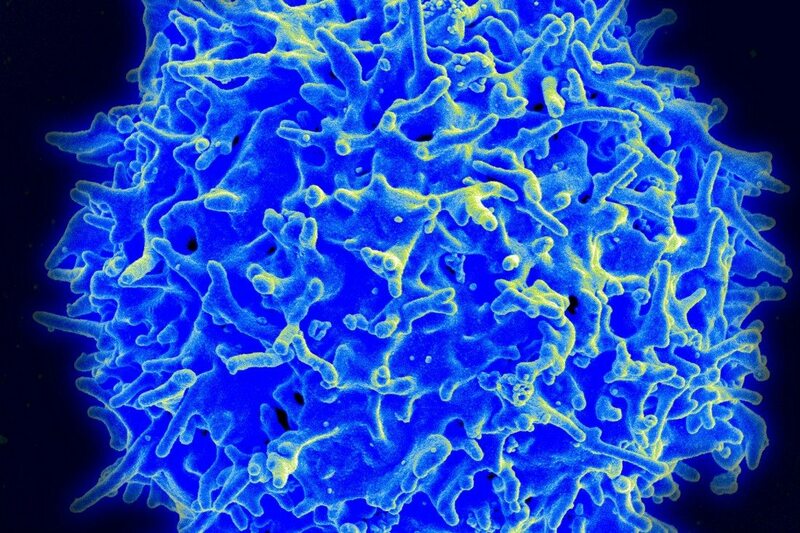 Healthy T cell image courtesy of Flickr user NIAID via a Creative Commons license.